One of the three iconic designs from the Lancaster County, PA. Amish community, their earliest settlement in the U.S. This is an exemplary representation of that group's aesthetic--made with fine wool, in brilliant color, sewn with fine quilting in classic patterns, and with a gossamer lightweight batting. The absence of corner blocks is a format called 'floating', that reflects the pared down, graphic composition of minimalist design that is a sought-after hallmark of early Lancaster County composition. 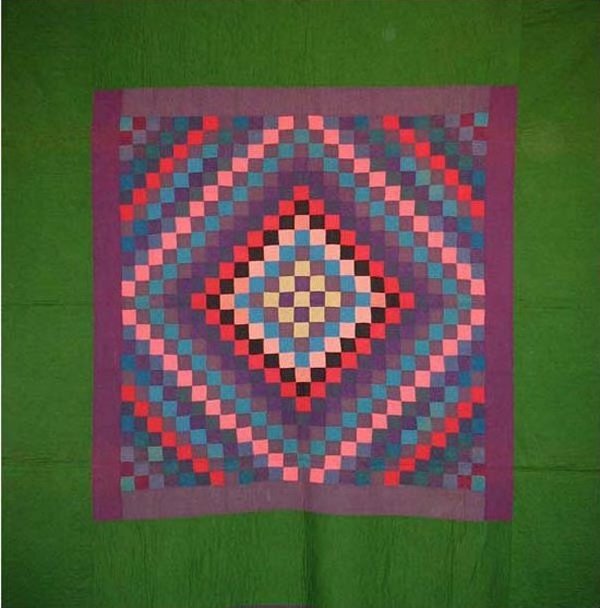 We have several examples of Amish Sunshine and Shadow quilts, so please ask to see others.